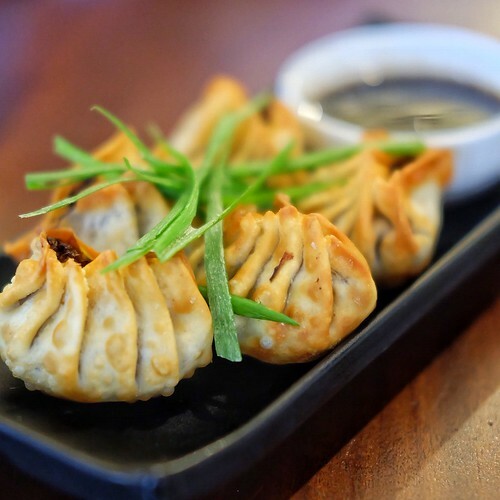 SUSI – Tagalog for “key” is the idea behind SUSI restaurant, a gluten-free and vegan restaurant that promotes sustainable living and one of the most interesting places in BGC. A majority of us – Filipinos, especially the meat-loving types, almost always scoff at the idea or upon hearing anything vegan or vegetarian. But The Foodie Station crew, being true blue foodies didn’t pass up the chance to dine here. It was a sunny weekday lunch when we arrived at the restaurant; the place has this homey and almost serene vibe. Beautiful and natural light pours through their glass windows with a nice view of the street. We were seated on the second floor which has a hip ambience with different quotations painted on the walls and a somewhat rustic feel with their wooden chairs and tables – a nice and welcome contrast. A vibrant salad consisting of quinoa, carrots, bell peppers, mixed greens and their homemade teriyaki dressing. We love how simple and fresh this dish was, the greens were crunchy and the slices of oranges added a nice citrusy taste. Also known as Mushroom Gyoza, this quiche was nicely done and topped with fresh leeks. It was crispy on the outside but has a soft and tasty filling. 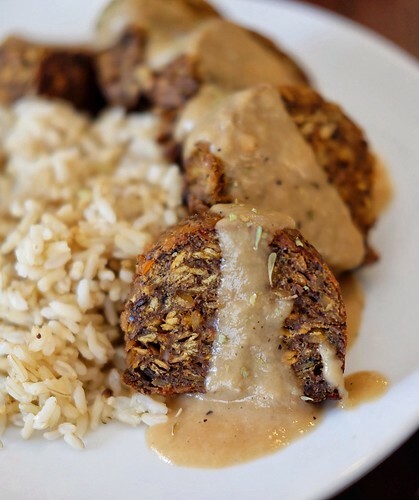 Baked lentil mushroom loaf served with brown rice. You can also opt to have it with zucchini-aubergine ratatouille. We surprisingly enjoyed this one. It was 100% meat-free but upon the first bite, you can taste the umami-goodness which leads your brain into thinking that there is beef in it. This is the perfect choice if you want a heavy lunch that’ll fill you up. 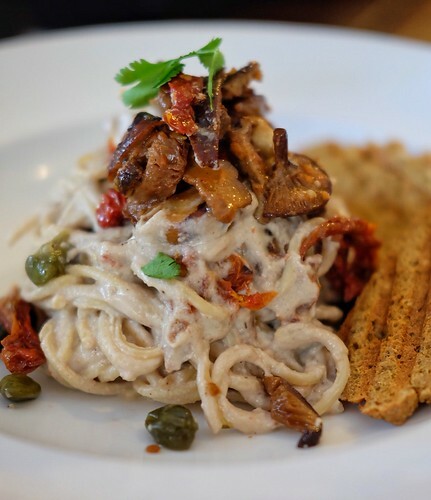 Fettuccine pasta topped with tofu bacon, roasted garlic, capers and sundried tomatoes. Pasta was al dente with a sweet-salty cream that we absolutely loved. It was a favorite on our table. You can devour this dish guiltlessly because it’s carb-free! This is one highly interesting burger. 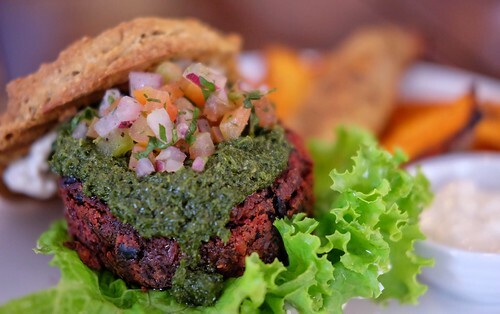 The patty was made with beets which would explain its reddish-brown color, and on top is a generous heaping of chimichurri. It also has cream cheese pico de gallo with sweet potato wedges. There are different textures and flavors with each bite; again, we were amazed by how meat-like it tasted despite the burger being plant-based. The sweet potato wedges sprinkled with paprika was baked to perfection and addicting on its own. 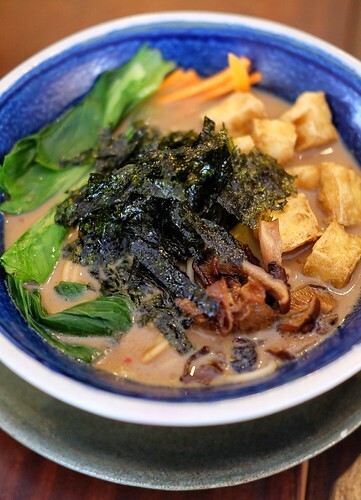 Noodles made with brown rice in a thick and tasty mushroom broth, topped with nori, Chinese cabbage, carrots, mushrooms and tofu cubes. We all know that ramen is hot in the food scene right now, and SUSI’s version can definitely compete. What we loved about this is the rich and thick broth, the spiciness was just right without being too overwhelming. After the scrumptious lunch, freshly brewed coffee and fresh orange juice was served. 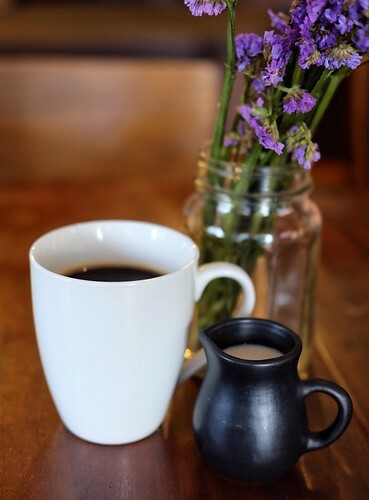 Vegan and gluten-free food doesn’t mean it’s not fun and delicious, all you need is to have an open mind and a dash of that adventurous streak in you to fully appreciate SUSI’s organic and plant-based menu. We fell in love with all the dishes that came out, not only it is surprisingly delectable, it’s healthy too. We will definitely be back for more, and quite possibly order their famous dark chocolate cake. SUSI is located at Bellagio 2, Forbes Town Center, Burgos Circle, Bonifacio Global City, Taguig.